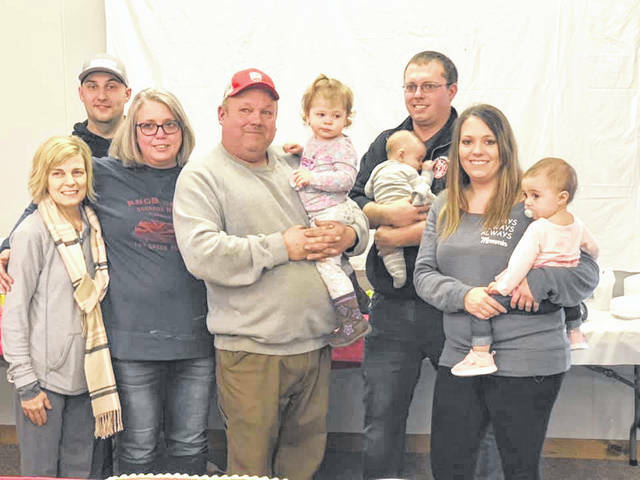 Ken Stevens, longtime chief at the Highland County North Joint Fire and Ambulance District (Leesburg), was honored recently for 35 years of service with a surprise party hosted by a firefighters association. He was presented with gifts and honors from the association and the District Fire Board. Stevens (center) is pictured with his family.